You can now request companies to mail you free stickers! RVCA is a California-based clothing company. The brand is closely associated with the skateboard, surf, and street graffiti culture. You may request your free RVCA stickers here. In-N-Out Burgers is an American regional chain of fast-food restaurants with locations primarily at American Southwest and Pacific Coast. You may request your free In-N-Out Burgers stickers here. Billabong International Limited is a surf company and a clothing retailer which sells surfing gears. They also make watches, backpacks, snowboard, and skateboard products under other brand names. You may request your free Billabong stickers here. American-made nautical preppy apparel and accessories made for those who love life on the water. A style they call surfer-prep. You may request your free Anchored Style stickers here. Patagonia, Inc. is an American clothing company that sells outdoor clothing marketed as sustainable. Founded in 1973 and is based in Ventura, California. You may request your free Patagonia stickers here. Lauren James is a preppy women’s clothing company. Which is devoted to making comfortable, elegant classics dresses, tees, and bridal wear. You may request your free Lauren James stickers here. Jadelynn Brooke is the best southern preppy clothing store. Which becomes a contagious movement spreading HAPPY to all the preps out there. You may request your free Jadelynn Brooke “HAPPY” stickers here. 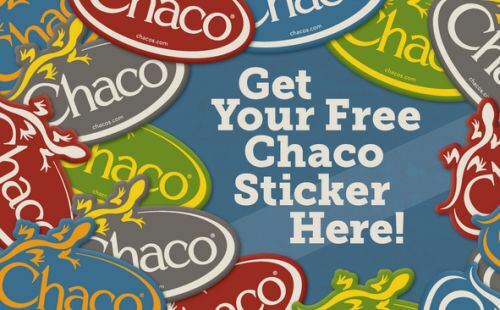 You may request your free Chacos stickers here. Dakine is an American outdoor clothing company specializing in sportswear and sports equipment. The company is currently based in Hood River Oregon. You may request your free DaKine stickers here. Tiny Tulip is a company that specializes in monogramming and personalized gifts. You may request your free DaKine stickers here. Cotopaxi is a company that makes hiking backpacks for exploring the backcountry. They also make lifestyle bag for hauling school and work supplies. You may request your free Cotopaxi stickers here. YETI is a Texas-based manufacturer of outdoor lifestyle products. YETI makes products such as ice chests, vacuum-insulated stainless-steel drinkware, soft coolers, and related accessories. You may request your free YETI stickers here. You may request your free Moosejaw stickers here. GoPro, Inc. is an American technology company founded in 2002 by Nick Woodman. It manufactures action cameras and develops its own mobile apps and video-editing software. You may request your free GoPro stickers here. MATIX is small, but hardworking, group of individuals coming together to create apparel suitable for the skate and surf lifestyle we all love. You may request your free MATIX stickers here. You may request your free Southern Marsh stickers here. Makai Clothing Co.’s goal to help protect the turtles from natural and human-caused threats by donating 10% of all net profits directly to them. Mizzen and Main is an American clothing company that specializes in performance menswear. It created and sells performance fabric dress shirts, blazers, jeans, and casual shirts online and in the boutique. You may request your free Mizzen and Main stickers here. Neff Headwear, Inc. is a privately held company based in Camarillo, California that markets beanies, hats, tees, gloves, and other accessories. The company was founded in 2002. You may request your free Neff Headwear stickers here. You may request your free Dickies stickers here. Skullcandy Inc. is a Utah-based company that markets headphones, earphones, hands-free devices, audio backpacks, MP3 players, and other products. You may request your free Skull Candy stickers here. Spy Optic is a company based in Carlsbad, California that manufactures sunglasses, eyeglasses, RX glasses, goggles, and gears. You may request your free Spy Optic stickers here. You may request your free Sperry stickers here. 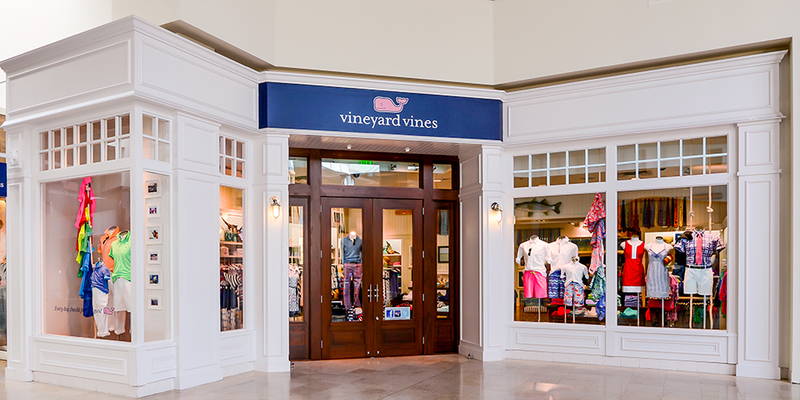 Vineyard Vines is an American clothing and accessory retailer founded in 1998 in Martha’s Vineyard, Massachusetts, by brothers Shep and Ian Murray. You may request your free Vineyard Vines stickers here. You may request your free North Face stickers here. Mountain Dew is a carbonated soft drink brand produced and owned by PepsiCo. The original formula was invented in 1940 by Tennessee beverage bottlers Barney and Ally Hartman. You may request your free Mountain Dew stickers here. Naked Juice is an American brand that produces juices and smoothies. The company is based in Monrovia, California. Naked Juice Co. of Glendora, Inc. operates as a subsidiary of PepsiCo, Inc.
Zumiez Inc. is an American specialty clothing store founded by Tom Campion and Gary Haakenson in 1978 and publicly traded since 2005. You may request your free Zumies stickers here. Monster Energy is an energy drink introduced by Hansen Natural Company in April 2002. The regular flavor comes in a black can with a green, torn M shaped logo. You may request your free Monster Energy stickers here. Coca-Cola, or Coke, is a carbonated soft drink produced by The Coca-Cola Company. Originally intended as a patent medicine, it was invented in the late 19th century by John Pemberton. You may request your free Coca-Cola stickers here. Peace Iced Tea is a brand of assorted iced tea beverages produced by the Monster Beverage Corporation. You may request your free Peace Tea stickers here. AriZona is an American producer of many flavors of iced tea, juice cocktails, and energy drinks based in Woodbury, New York. Arizona’s first product was made available in 1992. You may request your free AriZone Iced Tea stickers by sending an email request at info@drinkarizona.com. Gatorade is currently manufactured by PepsiCo and is distributed in over 80 countries. You may request your free Gatorade stickers here. Herschel Supply Co. is a Canadian manufacturer of hipster retro backpacks and accessories. You may request your free Herschel stickers here. Hubert’s Lemonade is an American beverage company owned by Monster Beverage Corporation. They produce a wide varieties of lemonade flavors. You may request your free Hubert’s Lemonade stickers here. Chipotle Mexican Grill, Inc. is an American chain of fast casual restaurants in the United States, United Kingdom, Canada, Germany, and France. They are specializing in tacos and mission-style burritos. You may request your free Chipotle stickers here. Converse is an American shoe company with a production output that primarily consists of apparel, skating shoes and lifestyle brand footwear. You may request your free Converse stickers here. Devon Maryn makes workout clothing feminine, preppy, and fashion-forward for women. You may request your free Under Armour stickers here. Goal Zero is an innovator of easy-to-use portable solar power products. Charge or Power almost anything from the sun: phones, laptops, lights, refrigerators. You may request your free Goal Zero stickers here. Reef sells the best surf-inspired sandals, shoes, and apparel for your next adventure or trips to the local surf spot. You may request your free Reef stickers here. Sanuk is an American outdoor footwear company that provides creatively inspired yet distinctively designed products for the global outdoor community. You may request your free Sanuk stickers here. SmileRound is a movement to create an infinite loop of smiles. Take a sticker, attach a little gift and leave it somewhere for someone random to find. With any luck, they will return the favor and leave something for someone else. You may request your free SmileRound stickers here. Snapple is a brand of tea and juice drinks which is owned by Dr. Pepper Snapple Group and based in Plano, Texas. The company (and brand), which was originally known as Unadulterated Food Products, was founded in 1972. You may request your free Snapple stickers here. Teton Sports sells high-quality sleeping bags, backpacks, tents, cots, and camp pads at an affordable price. You may request your free Teton stickers here. Three Island Clothing is an American-based clothing company that makes hand-stamped Balinese batik men’s wear, women’s wear, and children’s wear. You may request your free Three Islands Clothing stickers here. You may request your free PETA stickers here. 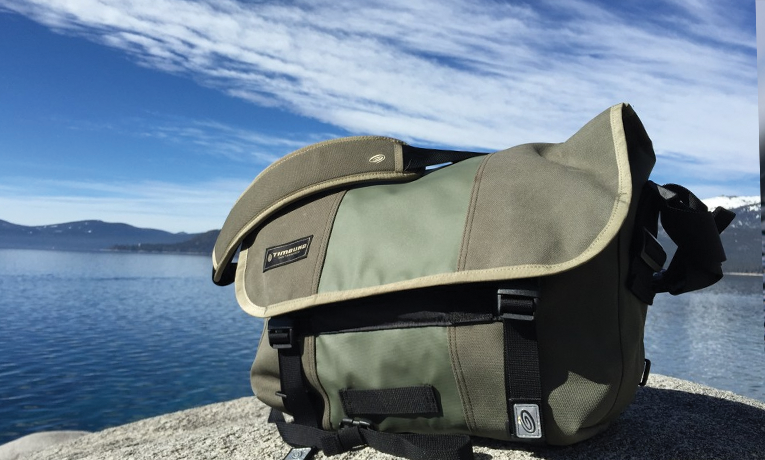 Timbuk2 is a San Francisco-based bag manufacturer and marketer. The company produces a variety of pre-made and made-to-order bags. You may request your free Timbuk2 stickers here. Toms designs and sells shoes, eyewear, coffee, apparel, and handbags. When Toms sells a pair of shoes, a new pair of shoes is given to an impoverished child. And when Toms sells eyewear, part of the profit is used to save or restore eyesight for people in developing countries. You may request your free Toms stickers here. Tropicana Products, Inc. is an American multinational company which primarily makes fruit-based beverages. It was founded in 1947 and it has been owned by PepsiCo. You may request your free Tropicana stickers here. Under Armour, Inc. is an American company that manufactures footwear, sports, and casual apparel. Their global headquarters is located in Baltimore, Maryland. You may request your free Under Armour stickers here. We Are Yoga is founded in 2013 with the aim of like-minded people in the realms of Yoga together by creating a network to support. Functions as a contact point when it comes to Yoga, Urban, Lifestyle, Festivals, Workshops, Healthy and Sustainable Living and Food etc. You may request your free We Are Yoga stickers here. Yogurtland is an international franchise chain of frozen yogurt restaurants hardhearted in Irvine, California, United States. Yogurtland offers self-serve soft-serve frozen yogurt with active cultures. You may request your free Yougrtland stickers here.